Working on technical SEO aspects is just like as to build a healthy foundation that helps to gain success in online search results. SEO optimization work mostly includes the factors those are related to the creation of free backlinks. The importance of a website optimization become pretty much evident with the passage of time because it’s the only way to success on search engines. Technical SEO has various dimensions on which every IT professionals have to work in order to establish the higher ranking of their website pages and keywords. You have to follow these guidelines to effectively improve your SEO results. 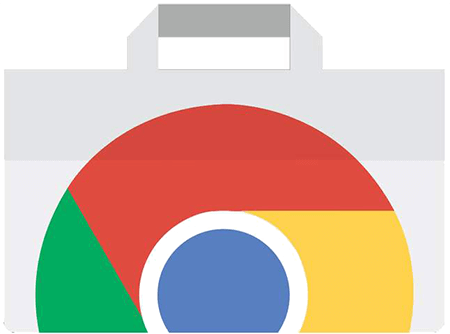 Google search console is a platform for Webmasters that helps them to manage their site’s performance and identify issues affecting the backlinks. The first thing that every web developer must have to do after developing a website is to sign up in the Google Search Console account. This tool also identifies 302 or 404 server errors. Below are the major factors that you can check through google search console. Setting up a Preferred Domain: With Google Console, you can perfectly set up your new website domain. Robots.txt editor: Here you can check your Robots.txt for errors. Google normally identified these after 90 days. Evaluate the Links: With this site, you can find out the domains which link back to your site. Index Status: This tool works as Google index search tool, and help webmasters to quickly index their web pages on search engines. HTML Enhancements: Search console recommends any specific improvements if required in Meta descriptions and HTML tags. Manual Actions: This tool will let you know about the manual actions if Google has administered against your site. Targeted Audience Nature: you can make sure with search console that you are targeting your preferred audience. Google analytics is a free web analytics tool that is offered by Google for all IT professionals to find out the facts about their online progress. The best thing about this tool is that it provides accurate and precise results related to increase in web traffic and keyword positions. Webmasters don’t have to pay anything in order to get required services from this tool that is specifically designed by Google. Here are the things that you can easily achieve from Google Analytics. Know Your Customer: With Google console, you can get the deeper understanding of your customers, and you can plan your business accordingly. Build a Complete Picture: It makes the whole website understanding process more productive, and result oriented. Rearrange Your Data: You can rearrange your website related data to get more productive results. A mobile-friendly business website will generate more favorable results in terms of the site’s overall revenue and growth of potential customers. In the modern era where we are living, website speed and design really matter the most. The speed of your site must be good that it must open within a few seconds. The responsive your website will be the more it will be accessed by users having diverse platforms and devices. Perform an SEO test to figure it out the actual speed of your site. These are the top benefits that you can enjoy by making sure that your site is completely responsive. • It helps to provide good customers experience. • The speed of your site is directly related to your growth. • Responsive Websites are easier to load. It’s essential for you to generate XML sitemaps for your newly developed website. It will help your customers to find out the relevant pages for which they are searching. You can get help from any XML Sitemap Generator tool that is very easy to access online. Google also recommends webmasters to include a sitemap in their website to make the searches more convenient for their users. XML sitemaps are important because of the following reasons. • Most of the pages of your site are dynamic. • You are running an online selling platform having thousands of pages. • The site you have developed is not well structured and well linked. • Your site is large in size having not well linked archived content. Security is the need of an hour especially for online selling platforms having millions of searches per day. Implementation of security protocols is necessary to cope with the modern-day challenges. Now it has become an international practice that every time when a website is complete, webmasters perform a detailed security test by engaging different InfoSec security professionals. Following are the top security protocols used by IT professionals to retract any potential intruders affecting the work. HTTPS: HTTPS (Hyper Text Transfer Protocol Secure) is used for the protection of internet traffic coming towards a site on regular basis. E-Commerce Firewall: E-Commerce firewall is a renowned technology that allows webmasters to protect any information that users provide to perform specific transactions on a site. IP Sec: This technology is pretty much use to encrypt data at the network level. It includes three different protocols. These are Internet Key Exchange (IKE), Authentication Header and Encapsulating Secure Payload (ESP). PCT: This protocol works same as an SSL, but has the smaller set of messages. With more than 1.8 billion online users, Social media integration becomes a valuable and cost-effective approach to convey the exact message about the products and services you sell online. Do must integrate your website with social media plugins for effective and timely sharing. Check your social media score with time to time in order to maximize your sales. Below are the top benefits that you can gain by creating new official pages for your products on different social platforms including Facebook, Twitter, and Pinterest. • Social integration will increase your brand awareness. • Very easy to start and increase followings in no time. • Establish your Business as a leader of the industry. • Increase overall online traffic.